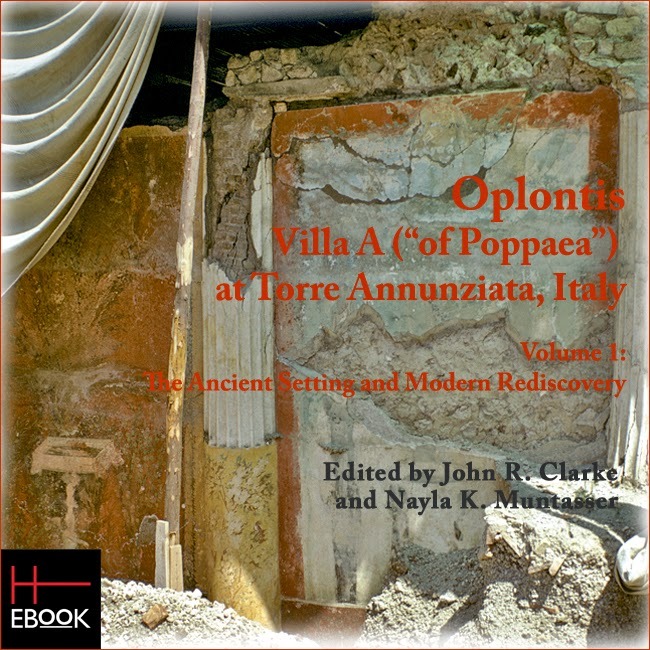 ACLS Humanites E-Book (HEB) is pleased to announce its recent release of Oplontis Villa A (“of Poppaea”) at Torre Annunziata, Italy, Volume 1: The Ancient Setting and Modern Rediscovery, edited by John R. Clarke and Nayla K. Muntasser. This is the first of four volumes devoted to the archaeological discoveries made at the Villa A site at Oplontis (Torre Annunziata, Italy). The Oplontis Project is an initiative operating under the direction of Clarke and Michael L. Thomas of the University of Texas at Austin, in collaboration with the Soprintendenza Speciale per i Beni Archeologici per Pompei, Ercolano e Stabia, as well as an international team of scholars working in multiple disciplines. This first volume includes essays by Elaine K. Gazda; Lorenzo Fergola; Vincenzo Marasco; Giovanni Di Maio; Massimo Ricciard; Kathryn Gleason; Gaetano Di Pasquale, Daniela Moser, Emilia Allevato and Oliver Nelle; Elda Russo Ermolli and Erwan Messager; and Clarke; topics covered range from architecture to geology to ancient flora and fauna of the region, as well as an overview of on-site discoveries in chronological order from the end of the sixteenth century through the present. The extensive research that gave rise to this publication also includes a navigable, three-dimensional virtual model of Villa A at Oplontis assembled by the Project team at the University of Texas and the King’s Visualisation Lab, King’s College, London, which will be available online in the near future. HEB will eventually incorporate this model into the publication. The Association for Slavic, East European, and Eurasian Studies (ASEEES) recently joined the list of learned societies who provide title recommendations to help build the ACLS Humanities E-Book (HEB) collection. Established in 1948, ASEEES is the leading international organization dedicated to the advancement of knowledge about Central Asia, the Caucasus, Russia and Eastern Europe in regional and global context. ASEEES supports teaching, research and publication and has cultivated the field’s intellectual landscape for over fifty years through its chief publication, Slavic Review; its annual convention; its book prizes and its organizational newsletter. HEB currently works directly with thirty-one of the American Council of Learned Societies's constituent member organizations to grow its title list. (See a list of all participating societies here.) We greatly value these collaborations that help ensure our offerings include works of enduring value in their fields, as well as reflecting new trends and interests in scholarly research. HEB will again be an exhibitor at the upcoming American Library Association Midwinter Meeting, this time taking place in Chicago, January 30-February 3, 2015. We're excited to meet with our subscribers and prospective subscribers to let everyone know what's new and what to expect in 2015. Write to us at info@hebook.org to schedule an appointment, or simply stop by Booth 4923. We look forward to your visit! 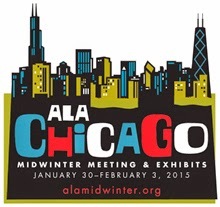 To register for ALA Midwinter, please visit the official website.